Very excited about her new book, the rest have all had me laughing out loud-she takes snark to a new level! I have read all of Jen's books and love them! 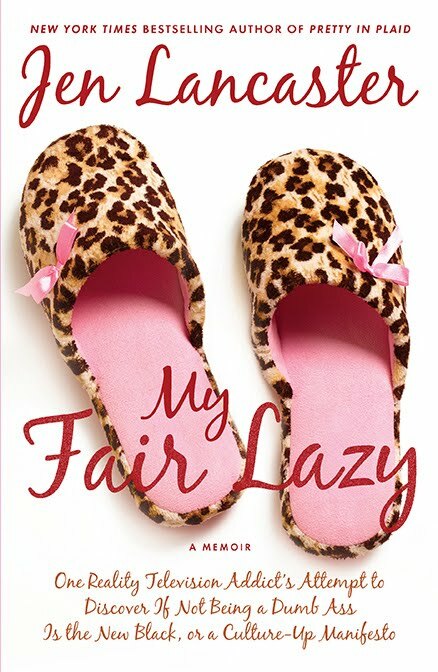 I started reading Jen Lancaster's books a few years ago...and was a happy girl...here is a bright, stylish woman with a wicked take on life...who can't enjoy that. I can't wait to read more of her books and I also know where I will be next Friday night...Road trip to Huntersville!! LOVE her books. Every one has made me crack up! "How did Jabba the Hut get into my bathroom and why the **** is he wearing my pearls?" Classic! I have read all of them and looking forward to reading the new one! As an unrepentant blogger needing to lose 15 pounds before my high school reunion (which, after a couple of Scotches, I stupidly agreed to organize), all the while slogging through the aftermath of divorce after 20+ years of marriage, I'm looking forward to My Fair Lazy. And if it's free, all the better. (Although it was those free Scotches that got me in this reunion fiasco ...) Thanks!